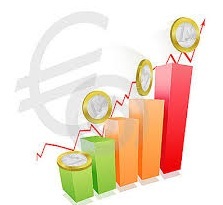 The bearish sentiment has intensified around the greenback on Tuesday and is now lifting EUR/USD to the area of 1.2060/70, fresh 27-month tops. The pair is up for the second session in a row so far today, gaining nearly 17% since January lows in the boundaries of 1.0340 and recording its 6th straight month with gains. On the opposite side, the greenback has broken below the ley support at the 92.00 handle when measured by the US Dollar Index (DXY), retreating to levels last seen in January 2015. The bearish sentiment around the buck following an innocuous speech by Yellen at the Jackson Hole Symposium stays as the main driver behind the renewed and strong selling bias in USD, while yields of the key US 10-year benchmark have breached the 2.10% level for the first time since November 2016. At the moment, the pair is up 0.68% at 1.2060 facing the next hurdle at 1.2069 (2017 high Aug.29) followed by 1.2100 (psychological level) and finally 1.2186 (high Dec 25 2014). On the flip side, a breach of 1.1917 (low Aug.28) would aim for 1.1831 (10-day sma) and then 1.1810 (21-day sma).